I send my heartfelt thanks to all who pledged to me for the benefit the Double H Ranch. Based on the most recent totals, we might exceed $10,000, enough to send almost 7 kids to camp there. It was a tremendously memorable day Monday (6/27/16), as I participated in my first ever 100 Hole Hike with my friend Will Stephen at Woodmere GC in New York. We blew past our goal of 126 holes and hiked 153 holes on Monday! Read more about 2016 Hike: 153 Holes! My daughter took photos of at least part of our day at Ballyneal on Monday, June 20. (Her camera got too heavy to carry throughout.) I hope you enjoy them--I did! My daughter and I accomplished our mission on Monday, June 20, at Ballyneal. (I played and she kept me moving.) After teeing off at 4:45 a.m.
Read more about Mission Accomplished! One Day Out. . . .
My teammate--my daughter Erin--has arrived in Colorado and we are hydrating. Looking forward, somewhat nervously, to Monday. 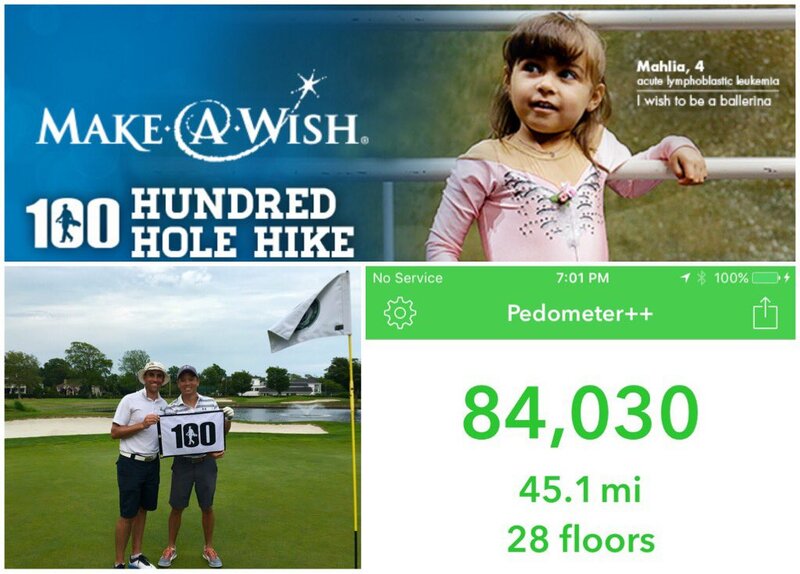 Read more about One Day Out. . . .
My 2016 Hundred Hole Hike will support the Make a Wish Foundation. Please make a pledge! Read more about 2016 Hundred Hole Hike!